Dreamworld Wildlife Foundation, DWF, has been supporting our wild tiger conservation since 2007, first with 21st Century Tiger and now with WildCats Conservation Alliance. In 2019 WildCats received a grant of £72,000 to fund its administration and donations of AU$55,200 directly for conservation projects. Dreamworld has raised an astonishing £1 million in the time it has been working together with the WildCats team at the Zoological Society of London (ZSL).  Since 2012, DWF entered a formal agreement with ZSL to cover administrative costs and salaries. This enables WildCats to give 100% of all donations received to the field programmes it supports. Recently, the Queensland Government announced it will inject $2.7million dollars into Dreamworld to expand the Corroboree area with a world-class research facility. The Dreamworld Future Lab will be the first of its kind in Queensland and will help support Dreamworld’s conservation. Dreamworld is home to nine tigers with three tigers in the Sumatran tiger conservation breeding programme.